Time and time again, studies have clearly showed that the reinforcing properties of the marijuana plant is significantly lower than alcohol, nicotine, and other drugs. Indeed, the withdrawal symptoms of marijuana consumption simply aren’t severe enough for smokers to repeat its use. In fact, it is proven that fewer than one in 10 marijuana smokers turn to regular users. And most users of the cannabis drug actually voluntarily stop using it after 34 years old – compared to the 15% of alcohol and 32% of tobacco consumers that become dependent on the drug. Several campaigns argue that it is “unfair and unjust” to treat users of the cannabis plant more harshly under legal law than tobacco and alcohol. After all, marijuana has numerous health benefits that aid in physical, mental, and emotional growth. Also, marijuana-related withdrawal symptoms are incredibly lower than that of alcohol and virtually every other illegal drug. In other words, marijuana is scientifically not a “habit-forming” substance. The physical benefits of marijuana are quite marvelous as it has an incredibly large potential for healing, being mainly a relaxant. Firstly, marijuana expands the breath by systemically improving blood flow throughout the entire body. The dilation of the capillaries while “stoned” both relaxes the body and increases the blood supply to the brain, meaning that both left and right hemispheres of the brain are enhanced as they become more oxygenated. This experience is mentally and emotionally beneficial. More blood flow is equal to more oxygen, and which is equal to more clearer and broader thinking. Moreover, it elevates determination, alertness, and, yes, physical strength while greatly boosting the body’s energy levels. 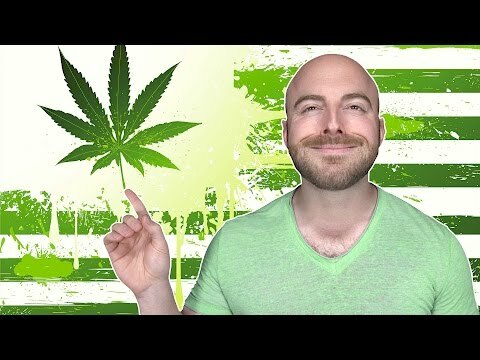 The African, Indian, and South American cultures refer to marijuana as “ganja.” And it is common practice to “puff on ganja” for well-being, counter fatigue, balance the appetite, and “expand the consciousness.” So won’t you agree that this actually sounds a lot like a health practice and not an addiction? The fear of addiction from marijuana actually roots from its absolute limitless potential to cure thousands of diseases and conditions. This means that the pharmaceutical companies and corporations would lose billions of dollars if marijuana and its benefits became the choice of the people. From the moment the formation of a local advocacy group Celebrate Cannabis was announced. It was clear that the local cannabis industry leaders are ready to address the combating issue of marketing and cannabis production problem in Oregon. This group has but one mission and that would be to unify the local cannabis community of Oregon. And provide it with a necessary voice that would speak in volumes in order to further advance the benefits of the legitimate and responsible cannabis industry. In Oregon, cannabis was legalized for recreational purposes. With that in mind, the voters voted for the implementation of Measure 91 which created substantial development in the economic investments. From which the entire Oregon community benefited significantly. It became clear that cannabis industry has a lot of good and useful ways that can largely contribute to any type of progress and growth within the community. Tourism and job growth was evident as well. That led Celebrate Cannabis to go even further and start planning the development of various public. And private partnerships with law enforcement and the Oregon Liquor Control Commission. In order to provide the necessary support of the compliance laws that were in effect. The main goal besides unifying the entire legal cannabis community is to provide inspections. And education of adult legal cannabis use. And how it can benefit health and be used in medical and medicinal purposes. And as a therapy to treat certain diseases and illnesses. Furthermore, the goal is to also promote regulatory compliance as well as product innovations. A lot of people are ignorant towards the health benefits that marijuana has and not only health but industrial benefits as well. There is so much that we can do with this herb and that is exactly what Celebrate Cannabis want to emphasize. Oregon legal cannabis community grows significantly and provide enough opportunities for all community members in order to prosper. Celebrate Cannabis provides all necessary information through a portal. That can be easily accessed as well as various workshops, webinars and events. All these activities are excellent opportunities for all people involved to find their place and do what they love. While still being a part of something much bigger than each individual. The most important thing is to support the industry and protect public safety. Therefore, a regulatory framework has to be established and that is exactly what Measure 91 is for. It is what will provide the necessary certainty and predictability. For the cannabis industry and business in central Oregon in order to regulate the processes. If you find that you need help with you marijuana addiction, make sure you receive proper treatment somewhere. There are a lot of recent studies that implicate that medical marijuana can treat depression as it has been proven that it can relieve symptoms of anxiety, which is one of the main causes of depression. Marijuana is also a potential treatment for nausea. Depression is a health condition where a person suddenly loses any interest in activities that were once enjoyable to them. They also tend to feel sadness and guilt for the things they think they did in the past. That can lead to feeling completely worthless which further leads to complete depression. Resulting in the early stages of schizophrenia and alienation from the outside world. First of all, if you are suffering from depression, know that you are not alone as there are over 300 million people all over the world struggling with the same problem and this number has a serious tendency to rise. Many people don’t take depression seriously and they think that if they don’t mind it, it will simply go away. It won’t and with time, it will only get worse. The best thing to do is to seek professional help and do some research about all available treatments. With that in mind, among many different therapies and oral medications, is cannabis or medical marijuana. It has begun as just an additional treatment option but soon, researchers have found out. That cannabis has a lot of really useful and good health benefits that could help treat numerous health conditions, including depression. Medical marijuana is known to help those who suffer from anxiety. It helps them to decrease the level of stress they feel and improve their sleep. It can also help people with multiple sclerosis as it can help controlling spasticity. Among many benefits, it can help relieve from weight loss related to HIV, numerous sleep disorders and various movement disorders. Even though using marijuana to treat depression is still in its early stage, there is proof that it can be used to treat depression caused by chronic stress. Endocannabinoids are chemicals produced naturally in the brain and they control behavior, emotions, cognition and motor control. Their chemical compound is similar to that of cannabis. A person that suffers from chronic stress has a significantly lower level of endocannabinoids in their brain which causes them to start feeling depressive. If a controlled dosage of medical marijuana is introduced into the system, it could help to restore normal function and levels of endocannabinoids again. That could lead to a person suffering from depression-like behavior to start feeling better. Still, medical marijuana still needs a lot of research in order to become a legit cure.